Apart from immediately improving the styling in any kind of room and the all around value of a home, plantation shutters offer a variety of other advantages. Chief among them are energy savings. 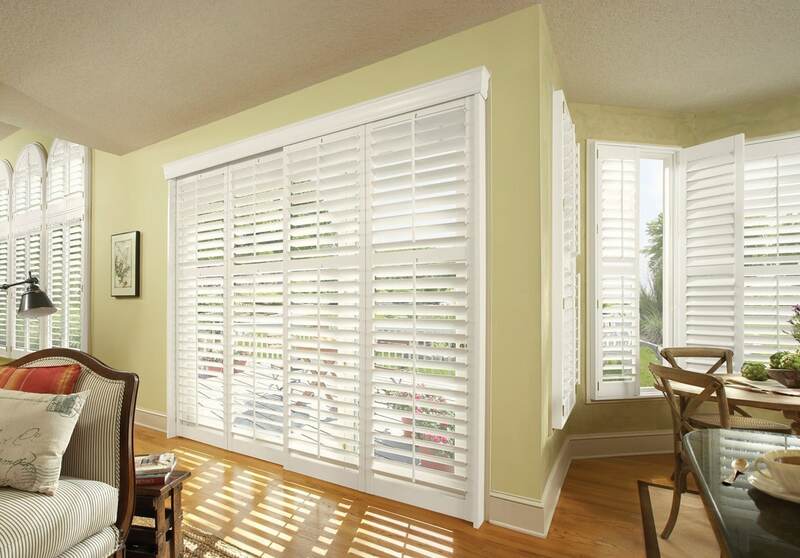 At a time when homeowners are are overly concerned with cutting expenses, and saving energy is on the forefront of each and every property owner’s mind, having plantation shutters mounted in the home is a simple choice. Eclipse™ Shutters contain pockets of air engineered into the louver and frame. This assembly practically eliminates solar heat gain throughout the summer months, leaving plantation shutters extremely efficient when it comes to energy usage. Ultraviolet protection results in the sun’s intense rays being reflected away rather than being allowed into the home. Are you aware that anywhere from 25-50% of the energy used to heat or cool your house can be lost via the windows? Most people do not know this, which is why we encourage you to contact us for a free in-home consultation, so we can put you on a path towards financial savings! Shutting plantation shutters to prevent chilly winter winds can do more than just help your room appear comfy–it actually can help it become warmer. Because a significant amount of a house’s warmth is wasted from improperly insulated windows, plantation shutters offer an additional buffer which helps continue to keep heat where it should be; on the inside. Making your house more energy efficient will certainly help you save cash on your heating and cooling expenses. Getting plantation shutters put in helps you to guarantee the sunlight and severe heat will stay out of the house while it’s summer, not to mention ensure you, your family and houseguests stay warm and comfortable throughout the entire winter. Throughout the milder seasons, like the Spring and the Fall, you can optimize airflow, which will help regulate your home’s temperature. Just by adjusting the louvers, it’s possible that you are able to postpone switching on the AC or heat a few weeks longer than you anticipated! As a proud reseller of Eclipse products, contact us now for a FREE in-home consultation and start saving money now!